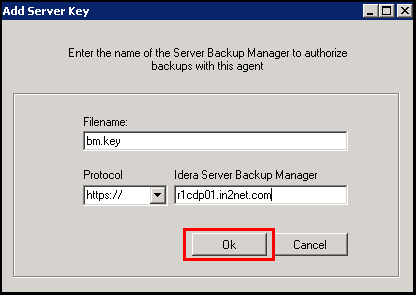 Backup agent requires a public encryption key from Backup server in order to determine to which Backup manager it should listen. The Backup manager will only allow connections from the customer's servers's outgoing IP address. 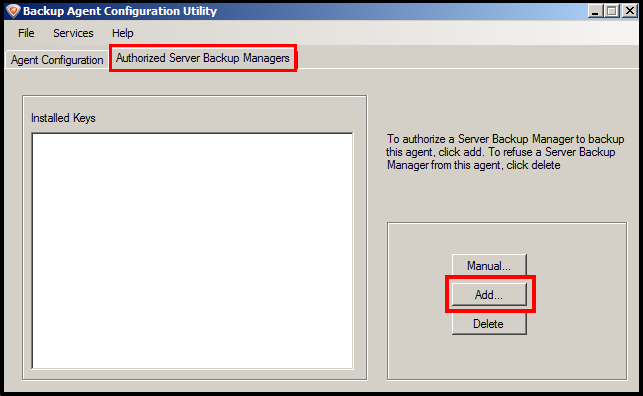 This can be changed in Authorized Server Backup Managers tab(circled in red) in Backup Agent Configuration Utility. 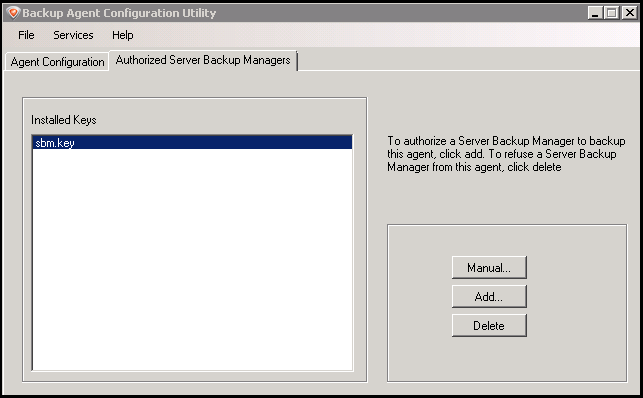 Launch Backup Agent Configuration Utility, and select "Authorized Server Backup Managers" tab. To add an installed key from Backup Manager, click [ADD...] button to show the following dialog box. The following dialog box will appear. you may enter the protocol, Server backup manager's ip address and the filename in this dialog box. Filename: The encryption key is stored as a file in your server. You need to give this file a name. We use bm.key in this example. If you have successfully added the key, you will see the key added as below.